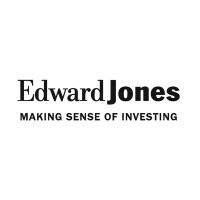 Edward Jones is a financial services firm that serves investors in the United States and Canada. Their client base is individual investors and small businesses. It is not a publicly traded company; it is a partnership that is only owned by current and retired employees. For information on your Edward Jones application, follow the link below. Founded in 1922 by Edward D. Jones, his son Ted was responsible for creating the branch network of this firm. The first office was opened in Mexico, Missouri. The next office was built in Pueblo, Colorado. They are currently headquartered out of Des Peres, Missouri. They have since expanded to over 12,000 locations across the United States and Canada, servicing over 7 million clients. They currently employ over 41,000 employees. In addition to providing services to their customers, they firmly believe in giving back to the communities. They assist numerous charities yearly by doing various charity events, collections, and donations. Some of these charities include the United Way, Susan G. Komen Breast Cancer Foundation, Toys for Tots, and March of Dimes. That is only a small list of charities they continue to support. They are looking for employees with extensive knowledge in investments and financial services. They are looking for employees who can provide their customers with excellent customer service skills to ensure they have a positive experience here. What do you get in return? You get to work with a company that in 2014 was ranked the 4th on the “Best Companies to Work for in America” list released by Forbes. There are so many opportunities at this company at the branch and corporate levels. There are plenty of entry-level positions at the branch level that can help an employee grow their job into an Edward Jones career. Some positions at the branch locations are financial advisors, branch office administrator, and paid interns. At the corporate level, they do have some entry-level positions for those looking to get their foot in the door at this company. Most of the positions at the corporate level are higher level positions that require more on your resume to gain employment. Such positions are portfolio construction analyst, field supervision director, and investment restriction analyst. Different positions at this company have different requirements to gain employment. Some positions may only require a high school diploma or equivalent and little experience, while others often require a college education and several years of experience. How old do you have to be to work at Edward Jones? The minimum age of employment is 18 years of age. Edward Jones offers very competitive benefits for their industry. Employee eligibility may depend on hours worked weekly and job title. Some benefits include medical insurance, dental and vision plans. They may also receive life insurance, short-term disability, and a 401(k) plan. They may also receive profit sharing and performance bonuses, among many other benefits. The hours of operation may vary based on location and holidays. During some holidays, they may be closed for the entire day. For more information on the hours of operation, check your local branch for details. Generally, the hours of operation are Monday through Friday from 8:30am to 4:30pm. They are closed on Saturday and Sunday. Financial Advisor- The financial advisor is responsible for providing a personalized investment solutions plan to help their clients meet any long-term goals they may have. They are tasked with keeping the relationships strong to keep the business with the company. They must have excellent knowledge of financials to help properly assist their customers. A financial advisor may earn around $4,800 a month. Branch Office Administrator- The branch office administrator is responsible for greeting customers upon entrance to the branch. They are responsible for clerical duties such as preparing for appointments, account processing, and answering market questions for customers. They manage the appointment books and incoming phone calls. An office administrator could earn around $16 per hour. Intern- An intern is a paid college student or recent graduate that is trying to gain experience in this field. They are responsible for watching and assisting the financial advisor to gain experience. They will attend branch seminar planning, help promote their branch, and assist with community involvement and networking. An intern may earn around $16 per hour. Programmer Analyst- A programmer analyst is responsible for providing systems development using mainframe and open systems technology. They will need to use their technical knowledge to ensure the availability of the company’s systems. They are in charge of implementing solutions for the business needs. A programmer analyst may earn around $59,000 a year. Why do you want to work at Edward Jones? The interviewer wants to know what you know about the company and their values. This may require some research prior to your interview. Answer by explaining which values that you share with the company and why that makes you a good fit to work here. Why should we choose you over other applicants? The interviewer is giving you the opportunity to sell yourself as a good fit for the company. Explain your strengths and why you feel the company would benefit from them. Try to do so without sounding too boastful, which can be off-putting to the interviewer. What is your 5 year plan? The interviewer is interested in your long-term career goals. The interviewer wants someone with staying power to work with the company. Explain honestly what your career goals are, and how you feel this company fits in with that plan. Do you believe that you should put yourself above the team? A business like this requires a certain level of teamwork to help operations run smoothly. Answer honestly, while mentioning any situation where you worked as a team to complete a goal without taking the glory. How do you follow the current market trends? Working in a financial industry does require their employees to have all the current financial information. Discuss any newspapers, magazines or television channels that you follow regularly and how they help you stay informed. Wondering how you can apply at Edward Jones? You can apply for an Edward Jones job at Edward Jones jobs online. You may also fill out an application form at a local branch or job fair. There are no printable applications online. There are no downloadable applications. The easiest way to apply is to apply directly online. The website has the job descriptions and responsibilities clearly stated on the website so that potential job seekers can easily find positions that are a good fit for them. You should only apply for positions that you qualify for, otherwise your application may not be considered. Be sure to fill out your application completely and according to instructions. You should also submit an updated resume with your application. After a reasonable amount of time, you should hear back about your application. If not, you are able to call them to check the status of your application and to see if they are still hiring for the position that you applied for. They may provide additional information, such as when interviews will begin if they have not already begun. You should prepare for your interview beforehand by asking yourself potential interview questions and answering them aloud. This can help you seem less nervous for your interview, which will help you be more confident and articulate during your interview. You should remember to dress in a professional manner. This can help increase your chances of gaining employment. H&R Block: H&R Block offers opportunities for both, beginners and experienced roles. JPMorgan Chase: For career opportunities, fill out the JPMorgan Chase online application. SVB Financial: See this page for jobs at SVB Financial. Fifth Third Bank: See our guide for careers at Fifth Third Bank. Amscot: For employment at Amscot visit the application page.